X-Digital is a Xerox-trained company that has specialized in refurbished Xerox production equipment for the past 30 years. 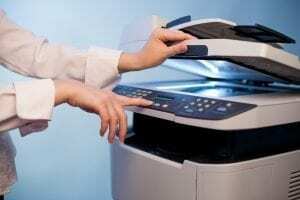 Our highly-skilled team is trained by Xerox to properly refurbish machines and production equipment. Each of our refurbished machines is stripped down to its frame and rebuilt to new condition. We stand behind the work of all of our refurbished machines with 100% satisfaction, by handling all services by Xerox and holding the work of our refurbished equipment and machines to Xerox standards. 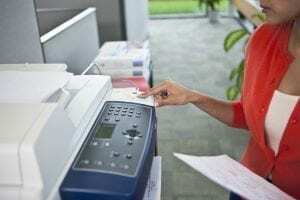 We enable our clients to save up to as much as 70% compared to buying new Xerox production equipment – get more and pay less with refurbished Xerox machines from X-Digital. We have a team of highly-skilled engineers that have worked with Xerox for over 20 years. Many of our clients are returning customers and buy multiple machines from us due to the value, quality of work, and the service we provide. We understand that Xerox machine products and services can be quite technical and specialized; therefore, it is our goal to ensure all of our clients are satisfied with the utmost quality at the great value we deliver. X-Digital understands that refurbishing Xerox production equipment is not a one-size-fits-all type of field. Before taking any machine in, we research whether or not it would be the best deal for our customers. Once we determine the machine is a fit for X-Digital’s services, we begin the refurbishment process. After finding the machines that no longer have a home, we bring them into our warehouse and spend an extensive amount of time evaluating them. Many arrive in rough conditions — some are covered in dirt, dust, and others are simply beat-up. In order to deliver the quality that we promise to our clients, we clean the machines and replace any parts that do not work. Our expert Xerox technicians completely refurbish machines, getting each one back into great working order. Once they’re finished, the machines are almost as good as new — and at a huge fraction of the price. Great attitude, everyone loves working with Flavio! “I have had the pleasure of working with X-Digital since 2006. Over the past 8 years, we have purchased several pieces of both black print and color Xerox printers. The most recent was an IGen4 which we took delivery on in December of 2013. X-Digital handled the installation and has supported us with service and parts since its installation. X-Digital has also been a supplier of consumables and parts as well as service and technical support for our print devices. The X-Digital team have always been attentive to our needs and have kept our equipment up and running and making money. I cannot overemphasize the level of confidence I have X-Digital. They have always dealt with us in a fair and honest manner. Barry is the rare person that when we order a part or consumable I don’t bother to ask how much, I know that the price will always be fair and if there is ever an issue it would be resolved quickly and to our complete satisfaction.